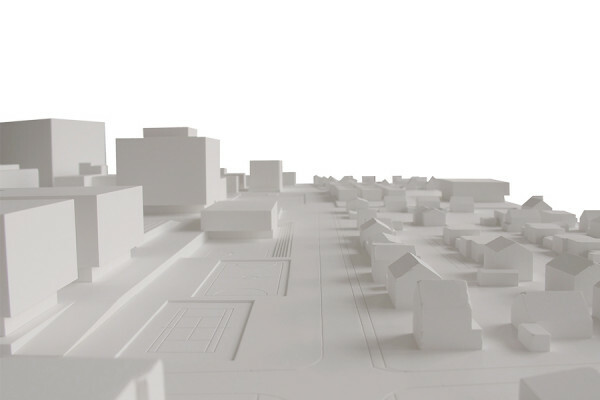 During the 1950s large areas of land were made available, as building plots, to meet the demand of a falsely anticipated population growth - which did not materialise - leading to a slow and low density built up of scarce, loose and poorly defined urban fabric. 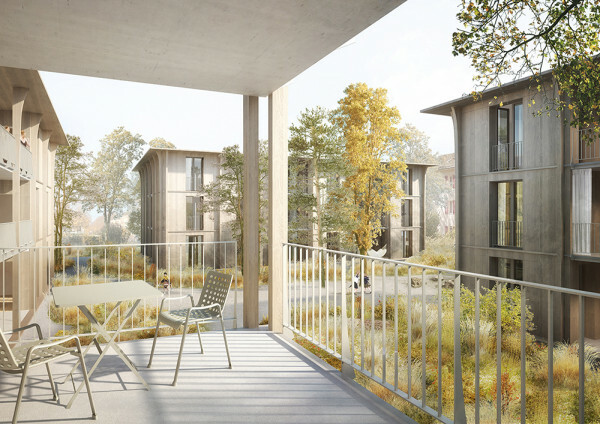 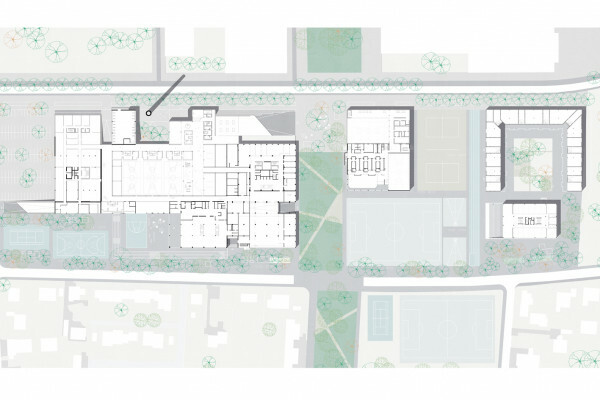 The existing school campus is situated in-between a residential fine grain fabric to the south and loose large industrial structures to the north, while it reads as an isolated cluster, developed on a split-level above ground. 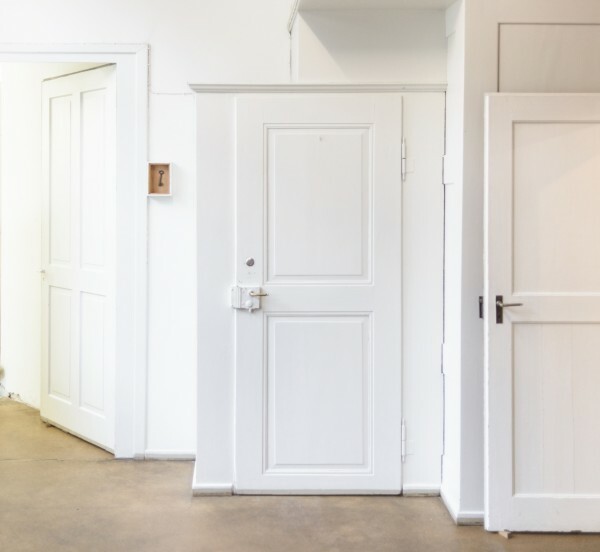 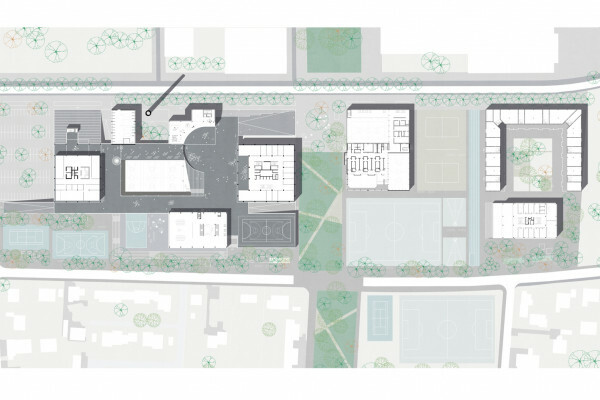 The challenge for this project, beyond the extension and refurbishment of the existing High School buildings lies in creating links and in mitigating the scalar and contextual disparities between the adjacent fabrics, so that the space around and within the campus is made occupiable. 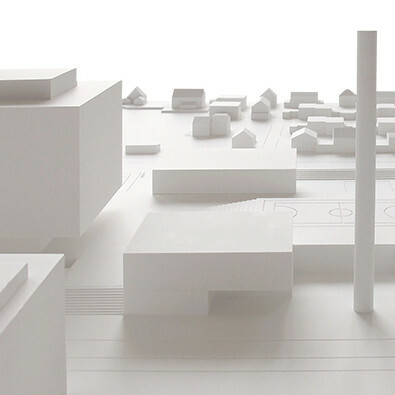 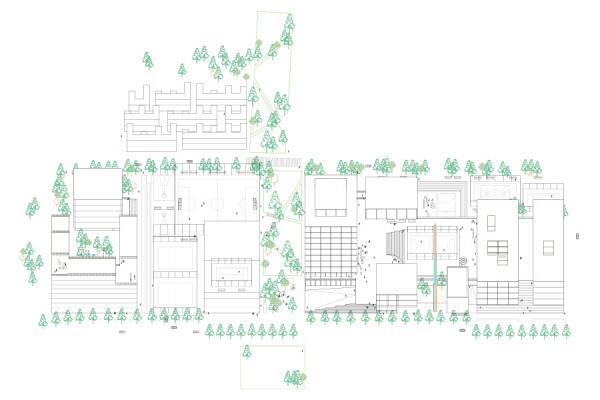 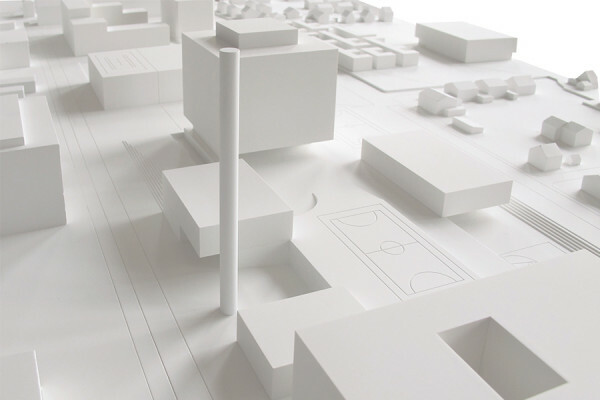 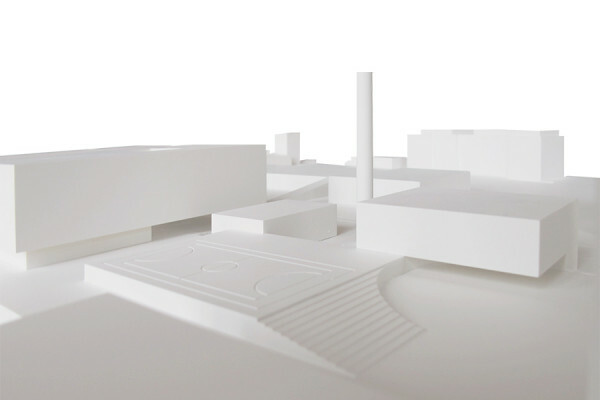 The development of the Master Plan for Muttenz High School Campus illustrates our Studio’s considered approach to reading and responding to a challenging and complex context and to manifesting its potential, revealing a design that completes and creates legible adjacencies, both in terms of programmatic use and in terms of figure and composition. 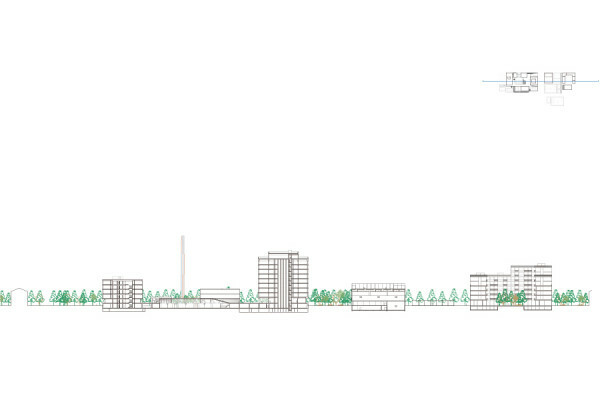 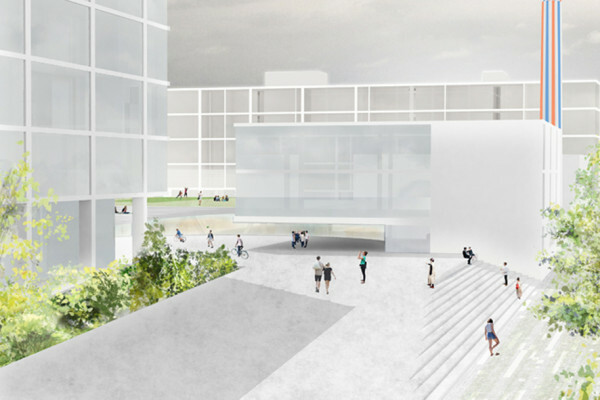 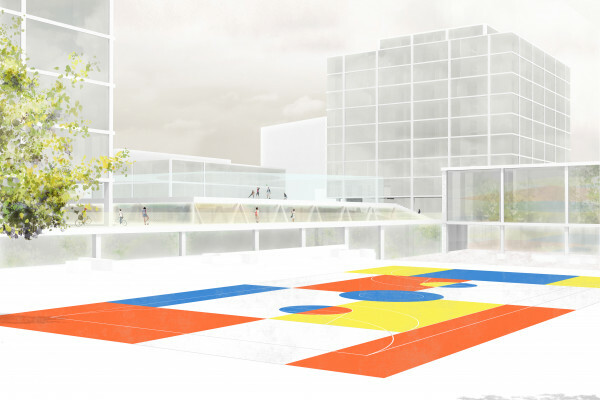 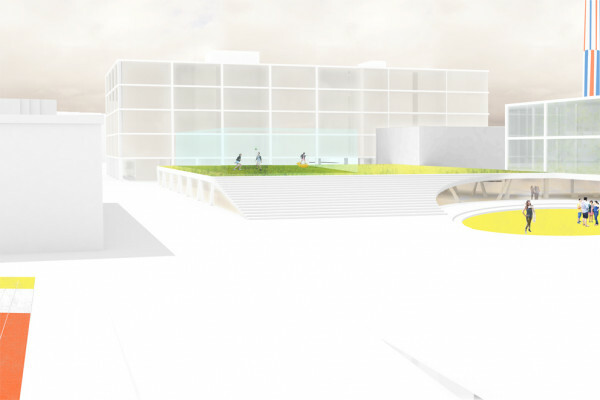 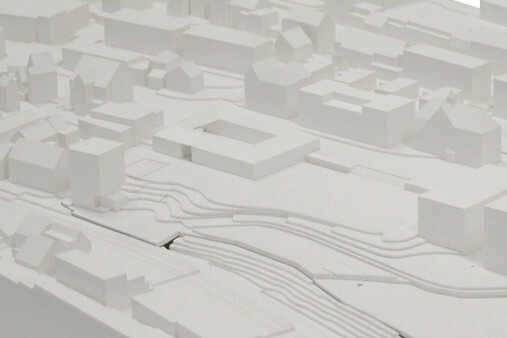 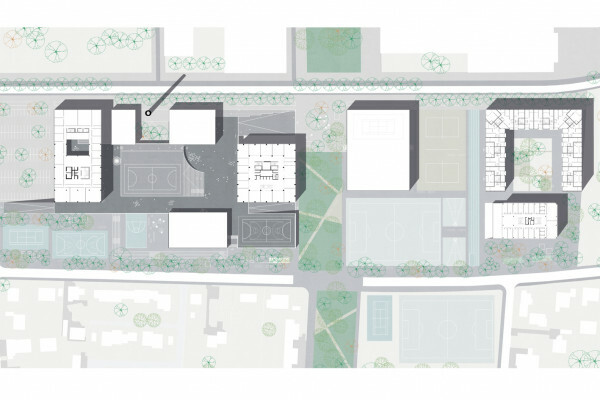 The Muttenz High School Masterplan poses design objectives related to place-making, providing a wide range of spaces for social activity, redirecting pedestrian flows and ultimately transcribing a sense of community and identity between students of diverse backgrounds and different curriculums.